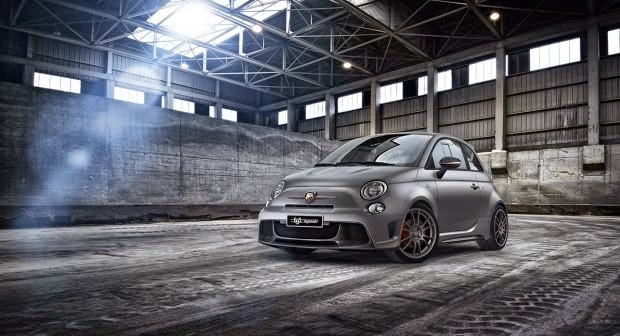 Fiat has been one of the world’s most respected and admired car manufacturers for the best part of a century, and during that time they’ve designed and produced many award winning models that have satisfied motorists all over the globe. Contrary to popular belief, not all Fiat cars are large family models. Indeed, the new 500 couldn’t be further from that stereotype. This is a car designed specifically for short distance inner city commuting, and makes for the perfect little run around for those who don’t like using public transport to get to work. That said; it is also capable of long distance travel, so while it might not be ideal, you will still be in a position to drive to the coast and chill on the seaside if you see fit. With all this in mind, we’re going to take a few moments now to look at the 500 in-depth. While this article won’t contain too much information about spec and abilities (I don’t want to bore you), I will spend some time explaining why the vehicle is so perfect, and why you should definitely give one a test drive the next time you visit your local showroom or dealership. We all know how important it is to purchase only the safest cars available. No matter how much confidence you might have in your own driving abilities, it’s often the other motorists that post the worst problem. So, you’ll be glad to know the Fiat 500 is packed full of modern and innovative safety features that are guaranteed to keep you, and all your passengers safe. With driver and passenger airbags, even if you do have a smash, you can relax, safe in the knowledge that you have the best equipment available for dealing with the situation. As this is such a small car, you’d be right to expect that it handles like a dream. Well, you definitely won’t be disappointed. While you’re not going to feel immense amounts of pull when you put your foot down, and you won’t be able to travel around sharp corners at over 90 mph without spinning off the road, for standard driving in built up areas or the countryside, it handles well, and it’s also very responsive. The only real downside is that it’s not as fast as some people would like, but as it reaches the speed limit without strain, I can’t see what they’re moaning about. If you want to break the law and travel at 100 mph, you’re a fool. The Fiat 500 spends less time in the garage than Kurt Cobain did during his early years before Nirvana broke out onto the world stage. While you will probably have to pay for replacement parts and a few minor repairs when you have your yearly service or MOT check, this is nothing more than you would expect with any modern vehicle. Unfortunately, the more you use it, the more certain parts will need to be replaced. So there you have it my automotive fans, you should now have an accurate idea of exactly why the new Fiat 500 is worth a second look. Just ask whether you can take one for a test drive, and the rest will be history.